Cutting a laminate worktop to size will uncover the core, exposing the surface to damage. 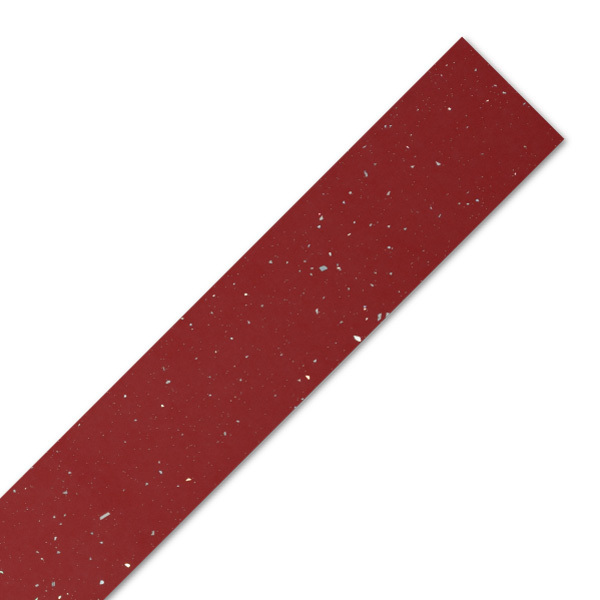 This red sparkle worktop edging strip measures 1500mm x 45mm and is designed to be used with our range of red sparkle andromeda worktops, featuring the same high-gloss red finish and glittering, metallic flakes. Easy to use, this edge trim can be applied to the worktop edge with an adhesive such as PVA glue. Once the glue is dry and the edging is secured in place, you may need to file the top down so it sits flush with the worktop. You can easily cut this product to size and it may be sufficient for more than one worktop length.